Discussion Pod :: View topic - Ghost In The Shell: Stand Alone Complex - Vol 1. Sure, is this the right one? MMI was pretty cool, although all the body switching sometimes made it a bit complicated to follow. Ultimately, I thouight it was very clever, but not wholly satisfying. My apologies for using Putfile. I didn't like the tachikomas at first but now i have gotten used to them and i just cant hate them after what they did. Well in 2nd gig the major wears CLOTHES! Not only that but she also has more than 3 outfits! There still is some considerable fansurvice but its not as taseless as the first season. 2nd Gig also has another form of fansurvice in the form of "hey i remember that" moments riped directly from the manga and movie. 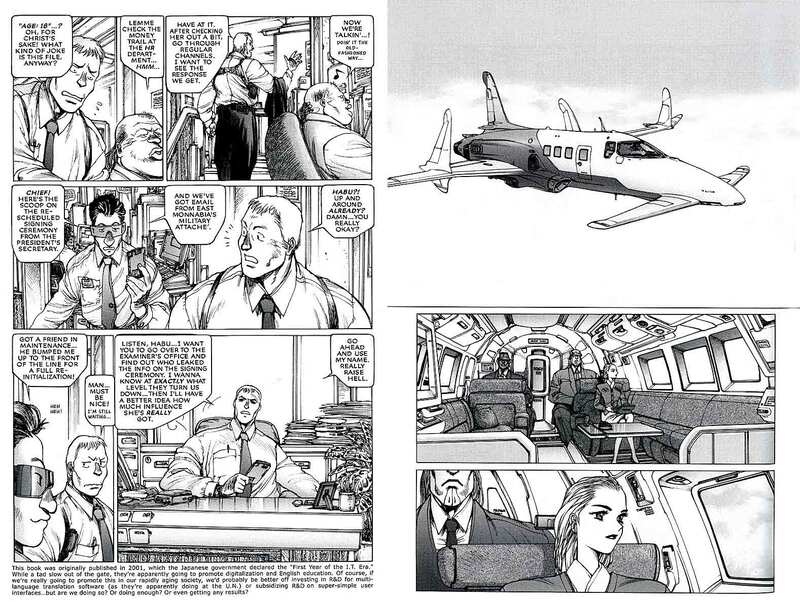 EG the major does a lot of: shooting people till their heads explode, and jumping off buildings in thumoptic camo, and the last EP contains an almost literal recreation of the first scene from the manga (joy). Does this mean that 3rd gig will be based directly from the manga? I shure hope so. Well there probably wont be a 3rd Gig but SOLID STATE SOCIETY COMES OUT IN 2007! Bandai is threating to sue anybody who fansubs it to increase demand when it comes out in the west but as much as a pirate i am i actually support them on there decision. In the meantime we can watch the trailer OVER AND OVER AND OVER. Batou with another new haircut? WOOHOO! Thanks for the heads up! I can't wait for this. I'm glad it's based on the SAC version of events. To be honest, as gorgeous as it looked, Innocence was a bit of a dissapointment for me. I sometimes buy the Jap DVD and then burn my own subtitles to it, but this might come out at the cinema over here so I might wait to see it then. I much prefer the manga and show to the movies. When you really boil it down the movies were oshi's. Yes shiro wrote the story but if you let oshi anyware near your movie it will be infected by his basset hound ness. Despite fallowing a different stroy the show captures the feel of the manga better and deals with much more soficticateed themes. SHHH! Th3 m1ght h34r j00! Well t3h l33t haxorz of t3h interwebs have managed to put fansubs on bittorent, and WOW! Totaly amazing and imensivly confusing. the puppeteer is not who you think he is, or is he? Definitely see it when it comes out this summer. Oh and buy the DVD too you cheep *******.